Comfortable and simple to use, the Exigo Leg Extension isolates and trains the quadriceps in a safe and efficient manner. Part of our Selectorized, Lower Body range, it is used for strength training. 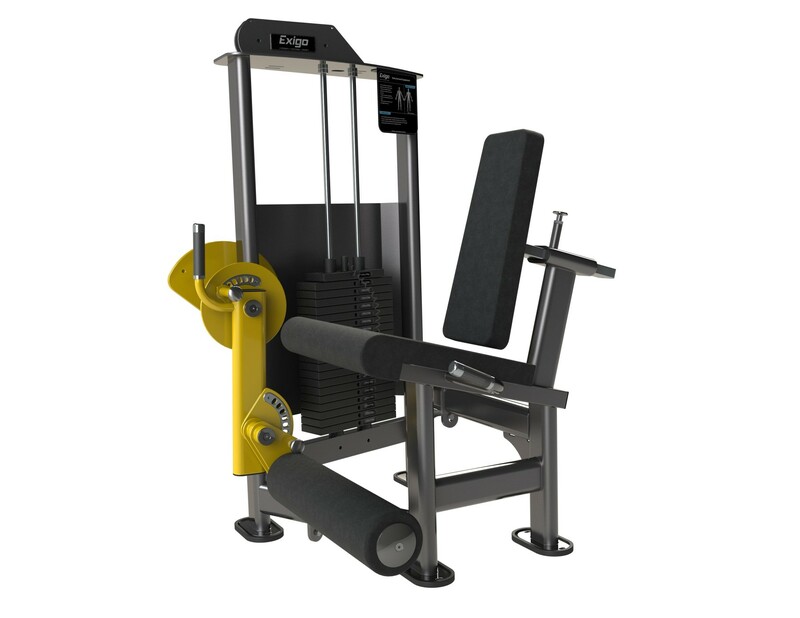 Designed and manufactured in our UK factory, this attractive piece of gym equipment not only looks the part but is built to survive the conditions of a busy commercial gym environment. The Exigo Leg Extension maintains a high quality finish, when compared to other leg extension machines on the market. It boasts durable upholstery and a robust frame, with a comfortable back rest and shin pad, both of which are adjustable for user convenience. This machine provides six different starting positions and all adjustments are available from the exercise position. Whether you’re a complete beginner or a seasoned athlete, this machine will certainly help you to achieve superior results and prevent injuries around the delicate knee joint. Specific training of the quadriceps will improve functionality of the legs. Perfect for any gym, home gym or training facility.